Some events went beyond local, with implications for the Portland area, Oregon and beyond. From transitory events to those with long-range impacts, Washington County saw its share of major news in 2018. This is just a small sampling of the stories that had effects rippling well beyond Hillsboro, Forest Grove and Banks during the past year — a year of elections, a year of wacky weather, a year of change. Immigration issues were in the news all year. Portland Community College made its own statement in January, with the opening of the Center for the Development, Relief and Education for Alien Minors — or DREAM Center — on the Rock Creek campus. An Aztec dance performance accompanied the grand opening. 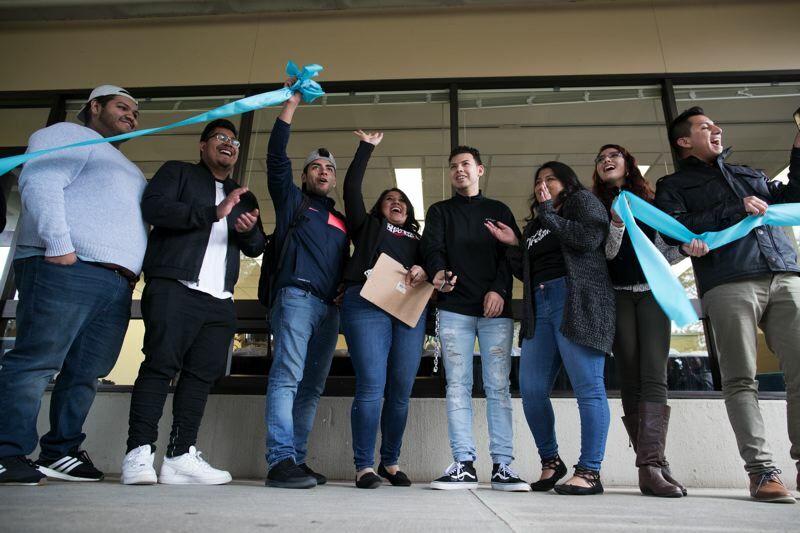 The DREAM Center is intended to provide support for undocumented students and their families at the community college, including connecting them with legal aid if their residency status is challenged. "Even though there are all these barriers, people can still achieve their dreams," said Jhoana Monroy, the DREAM Center's coordinator. Here in northwestern Oregon, we're used to the weather being miserable from Halloween through Memorial Day. It's unusual, though, to get a significant snowstorm in late February — but that's exactly what happened in 2018. 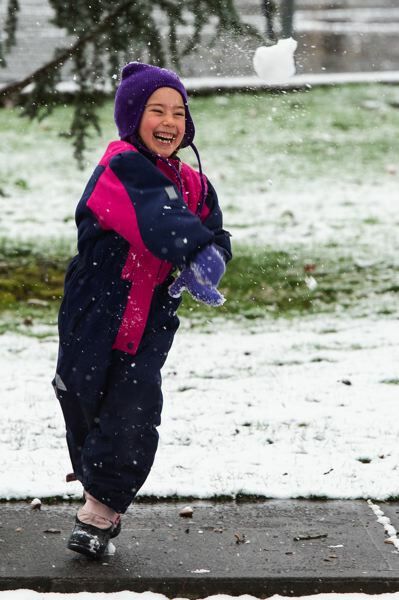 Many students in Washington County got nearly a full week off from school, with wintry weather rolling in over Presidents' Day weekend and lingering for five straight days. In Banks, students only had one day of classes that week, with the veil of snow finally lifting by that Friday, Feb. 23. The February snowstorm could have been a lot worse. Initial forecasts suggested a major front would move in just before the afternoon commute on Feb. 20, potentially causing a repeat of a mid-December storm in 2016 that left Portland-area roads and highways so severely gridlocked that some motorists ended up spending the night in their vehicles. The worst of the storm instead held off until most commuters had safely gotten home, and the week passed mostly without incident. Across the United States, students stood up and walked out of classrooms on March 14, the one-month anniversary of a school shooting in Parkland, Fla., that left 17 dead. 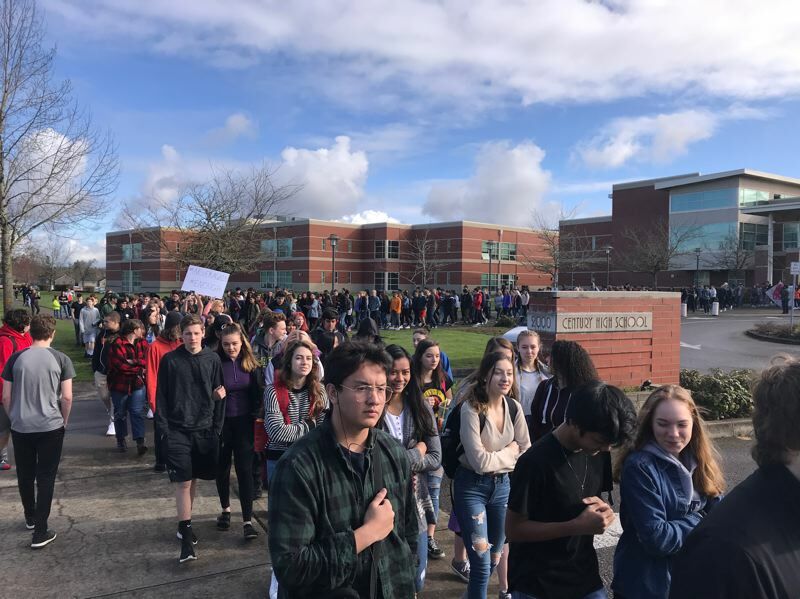 Students in the Hillsboro, Forest Grove, Beaverton, Tigard-Tualatin and Sherwood school districts, among others, as well as at Pacific University in Forest Grove, staged mass walkouts to protest gun violence and call for political action. The walkouts echoed similar protests held at Washington County schools in spring 2016, after two students at Forest Grove High School put up a banner in the school cafeteria that read "Build a Wall." In both instances, while thousands of students across the county participated in protests, disruptions were minimal and most school administrators chose not to discipline students for participating. Last month, the Trump administration issued a federal rule banning the sale of "bump stocks," devices that can be fitted onto guns to effectively simulate automatic fire. The action didn't go as far as many students demanded, but it represents one of the most significant changes to federal gun regulations in years. 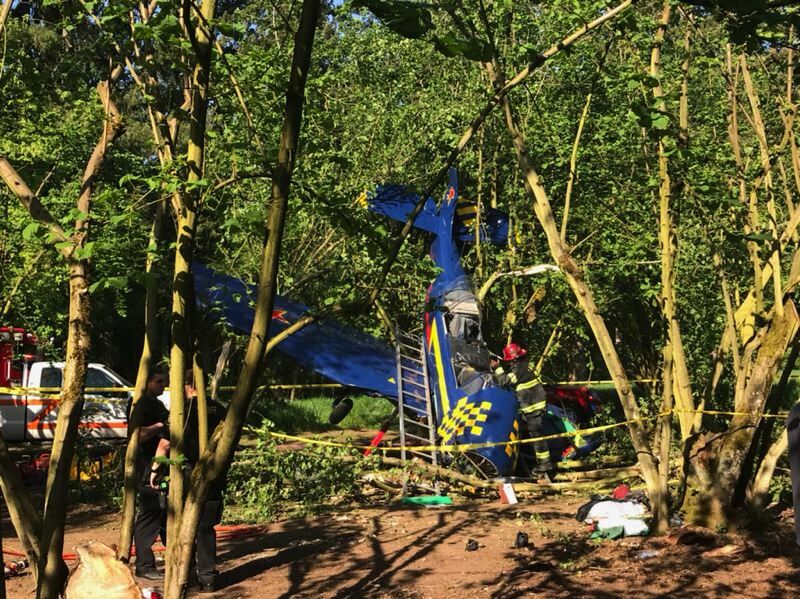 Observers and passersby were shocked when a propeller-driven plane ploughed into a filbert orchard near the intersection of Highway 8 and 331st Avenue, in a rural area between Hillsboro and Cornelius, on April 26. No one was killed in the crash. But both the 88-year-old pilot, a U.S. Air Force veteran, and his 73-year-old passenger were seriously injured. The plane itself, a Soviet-built Yakovlev Yak-52, was completely wrecked. "He's a good pilot," said one eyewitness of Gennaro Avolio, whom friends said used to fly F-86 Sabre jets for the Oregon Air National Guard during the early jet age. "Any landing you can walk away from is good." After nearly 20 years in office, Bob Hermann announced in 2017 he would not run for a sixth term as Washington County district attorney. He endorsed his protege, Deputy District Attorney Kevin Barton, as his successor. But despite having the well-respected incumbent's blessing, Barton's road to the top job wasn't clear. Barton and his backers sounded alarm bells as previously little-known challenger Max Wall, whose candidacy was backed by hundreds of thousands of dollars in spending by a political action committee linked to billionaire financier George Soros, went up on the local airwaves and began pushing out campaign mailers, turning a race that is usually among the sleepiest on the ballot into a hot contest. But despite the agitation, when the results came in on May 15, Barton crushed Wall by more than a two-to-one margin. He took office in July, after Hermann chose to step down a few months early. Barton wasn't the only fresh face elected to local office in May. Juan Carlos Gonzalez, a Forest Grove High School alumnus, Hillsboro resident, and official at Cornelius-based nonprofit Centro Cultural de Washington County, was elected to a seat on the Metro Council. At 26, Gonzalez is the youngest-ever elected Metro councilor. He will be sworn in this month. A Walk on the Wild Side, a nonprofit animal rescue that takes in the likes of bears and big cats, relocated from a site near Canby to a site near Hillsboro in 2016, after years of controversy and clashes with Clackamas County officials. 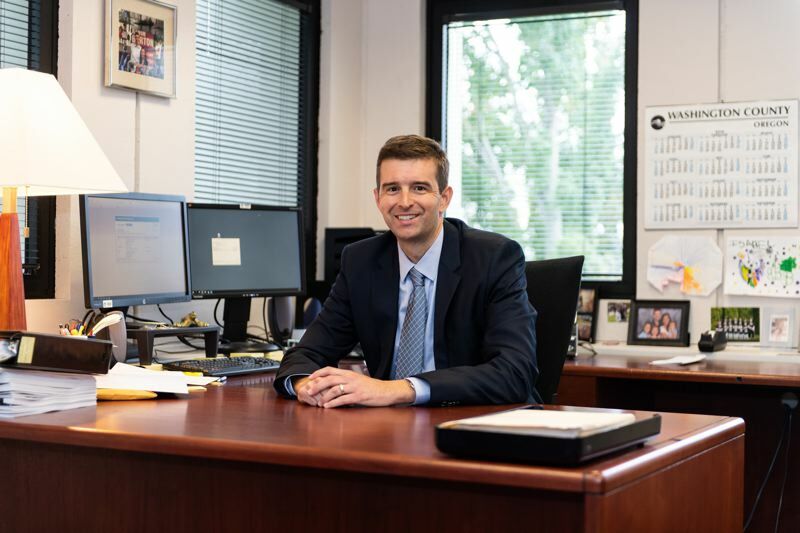 Since the move, it has been Washington County officials with which the nonprofit is at odds. The back-and-forth between Washington County and A Walk on the Wild Side evolved in a major way as the county commission voted 4-1 in June to ban exotic animals within the unincorporated areas of the county, unless the Association of Zoos and Aquariums provides an exception to the rule. The ban took effect in September, leaving A Walk on the Wild Side in legal limbo and uncertain of its next move. It has up to a year to obtain AZA certification and come into compliance with the new county regulations. People for the Ethical Treatment of Animals, or PETA, took notice of the tussle. 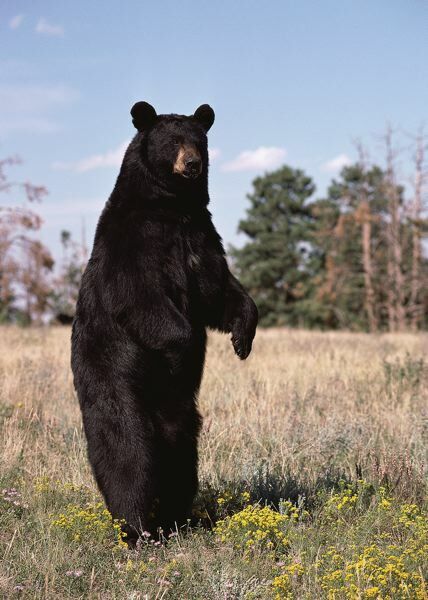 PETA argues that A Walk on the Wild Side does not provide proper care for animals, describing it as "a local shoddy roadside zoo." The group celebrated the county's decision to ban exotic animals. For A Walk on the Wild Side's part, it has disputed PETA's allegations, arguing they are not factually based and criticizing PETA for seeking publicity. A Washington County woman became the face of a federal class-action lawsuit against the fast food chain Dairy Queen after, she claims, she downloaded a mobile app to receive a free Blizzard, went to the Dairy Queen location off Highway 26 in Manning, and was told she would have to pay menu price for the dessert. Mariel Spencer won the support of self-proclaimed "Underdog Lawyer" Michael Fuller, who is representing her and other complainants in the suit, which was filed in Portland in July. Fuller's website encourages people who say they were "lured into a Dairy Queen based solely on the false promise of a free, delicious Blizzard ice cream treat" to fill out a form and sign onto the class-action suit. The unusual lawsuit calls on Dairy Queen International Inc. to compensate Oregonians who downloaded the app but were denied their free Blizzard by paying them "the monetary value of at least five Blizzards." Blizzard prices vary by size and location but generally range from $2.89 to $4.69, with an added charge for extra mix-ins. 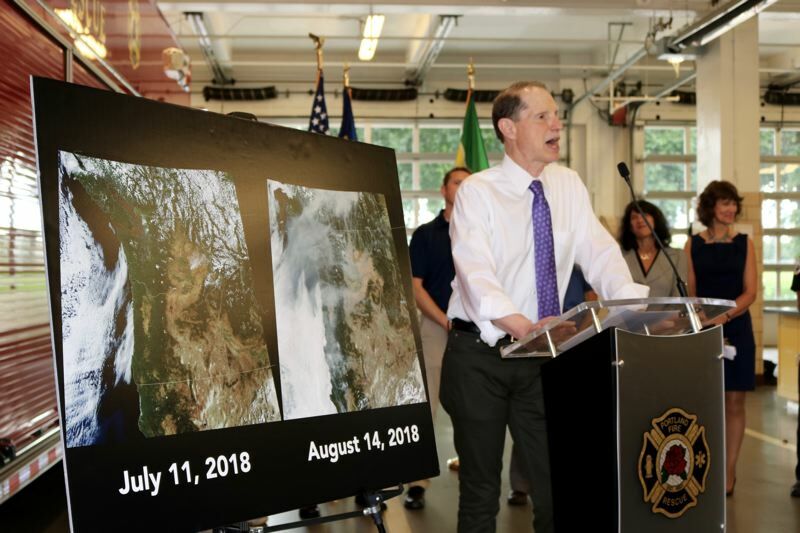 Mercifully, 2018 did not see a redux of the Eagle Creek Fire that burned swaths of the Columbia River Gorge in between Portland and The Dalles in 2017. But major wildfires burning across Central and Southern Oregon and parts beyond still threw up enough smoke and ash to darken the skies over Washington County for much of August. Air Visual, which maintains an air quality index for major cities, listed Portland as having the worst air quality in the country, and nearly the worst in the world — on Aug. 23, it was narrowly surpassed by only the infamously smoggy metropolis of Jakarta, Indonesia, as Willamette Week reported — in the waning days of August. In Washington County, the sun was shrouded for days at a time, with its light filtering through the smoke with an almost Martian orange hue. The bad air quality prompted several local schools to cancel preseason football jamborees and other events, and local officials advised people to limit their outdoor exposure to avoid the risk of respiratory issues. There were mixed reactions from Washington County Fair supporters when, in February, building inspectors declared the old exhibit hall unsafe and had it shuttered. The hall and several other buildings were torn down before the annual fair in July, making way for a new addition. The Washington County Event Center will be the legacy of Andy Duyck, a longtime county commissioner and outgoing chairman who has championed the project. 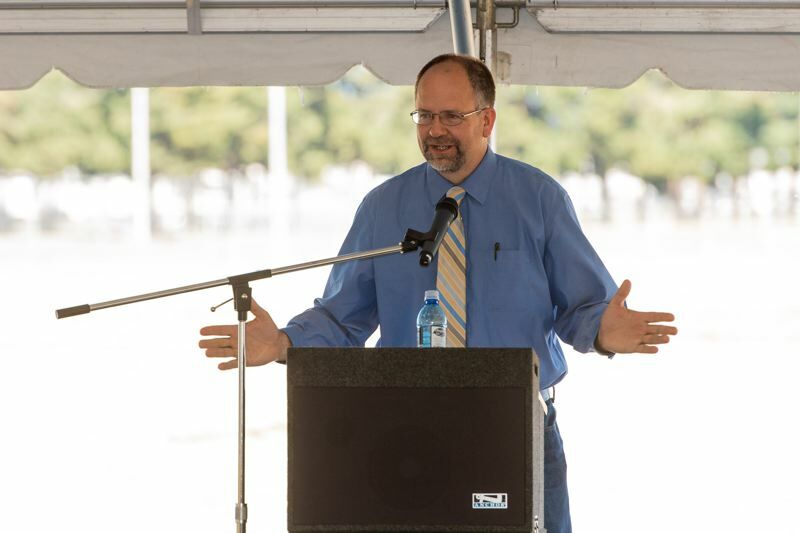 A groundbreaking ceremony was held for the 89,000-square-foot facility at the fairgrounds in September. The center is scheduled for completion in 2020. Not only will it provide a larger, updated indoor space for fair activities, but county officials envision it providing a year-round venue for conventions, seminars and other business events. The county-led project is also receiving some of its funding from the City of Hillsboro and the Washington County Visitors Association, as well as through the State of Oregon's Gain Share property tax offsets. Pacific University's beloved mascot, the original "Boxer" statue, vanished in 1969. The statue, purchased in China in the late 19th century and gifted to the university by an alumnus, was a well-known symbol of Pacific. It was also the object of a tradition of "Boxer Flashes" and "Boxer Tosses," games played among the school's fraternities and other student groups that saw the statue spend much of its time in the possession of one or another. In 1969, whoever took Boxer did not see fit to return it, and the tradition came to an abrupt halt. In the 1980s, sculptor Pat Costello attempted to recreate the statue, but "Boxer II" never enjoyed the popularity of its predecessor. It was criticized for not closely resembling the original, and after a few years, it too was stolen and has never resurfaced. Costello got another chance when he was commissioned to create "Boxer III," a more faithful replication of the original Boxer statue and a mascot that Pacific officials hope will stand the test of time. 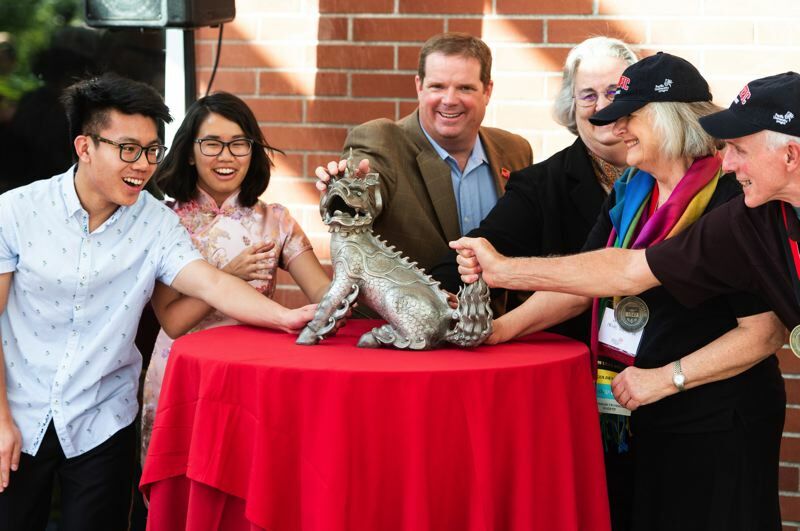 The new statue was formally introduced and dedicated Oct. 19, at a pep rally on the school's Forest Grove campus. Only time will tell whether this third version of Boxer will be one that Pacific alumni and faculty remember for generations to come, but the reception so far seems positive. Democratic voters across the United States were reaching for the Rolaids when early returns in the Nov. 6 election showed their party falling short of expectations in states like Florida and Indiana. But within hours, confetti was flying and corks were popping at the victory party for Democratic Gov. 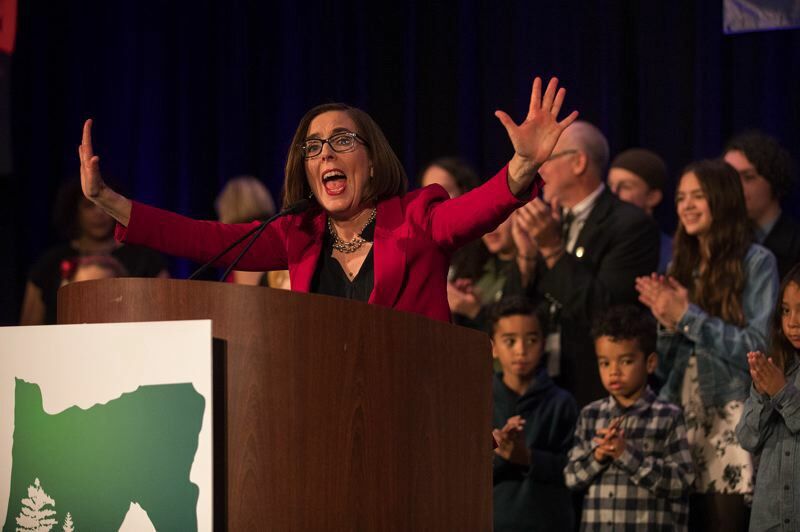 Kate Brown, who repulsed a challenge by Republican state Rep. Knute Buehler more easily than many election forecasters expected — and led the charge as Democrats wiped out Republicans across suburban Oregon. Among other major gains for Oregon Democrats, Wilsonville educator Courtney Neron overcame a funding gap and a lack of name recognition — she didn't run in the primary, but was selected by local party officials to replace original nominee Ryan Spiker after he withdrew from the race — to oust moderate state Rep. Rich Vial, R-Scholls. Neron will be one of a record 28 women in the Oregon House of Representatives, and a potentially pivotal vote as a swing-seat legislator in a narrow Democratic supermajority. While the Washington County Board of Commissioners is officially nonpartisan, local Democrats can count it as a win, too. Kathryn Harrington, a registered Democrat, easily defeated conservative Commissioner Bob Terry for the right to succeed Duyck. Her victory ensures a 3-2 liberal majority on the county commission, ending years of conservative control. And nationally? Despite taking their lumps in many "red states," including a net loss of two U.S. Senate seats, Democrats surged to a net gain of 40 seats in the U.S. House of Representatives, winning a majority. They also gained a number of governorships and took control of several legislative chambers across the United States. Next up for Democrats: deciding on a nominee to challenge President Donald Trump next year. One possible contender may be Oregon's own Sen. Jeff Merkley, who has barely registered in early preference polling but has nonetheless expressed interest in a bid. In the final month of 2018, Washington County lost a living legend as one of Hillsboro's best-known residents died in a car crash. Alter Wiener, a 92-year-old Polish immigrant, prominent member of the Portland-area Jewish community, and survivor of five Nazi concentration camps during World War II, was crossing Northeast Century Boulevard in Hillsboro on the evening of Dec. 11 when he was struck and killed by a car. Wiener was a popular speaker at local schools, addressing students at Lakeridge High School in Lake Oswego as recently as Dec. 5. He was also a published author, with a 2007 autobiography detailing his adolescence under the Nazi occupation of Poland and his life since coming to the United States after the war. No charges or citations were filed in Wiener's death, with police ruling it an accident. 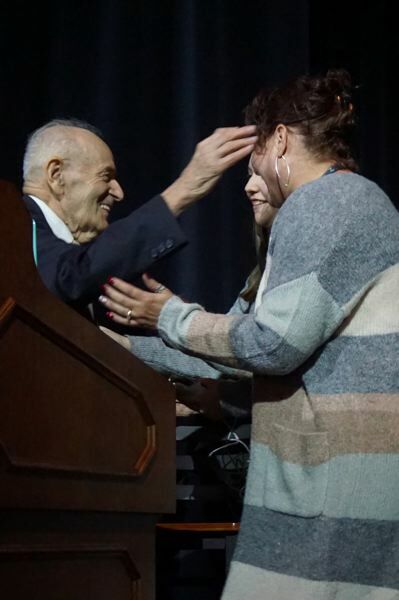 Wiener himself was honored in a service at a Portland synagogue on Dec. 14.